In Your Element | Listen Free on Castbox. 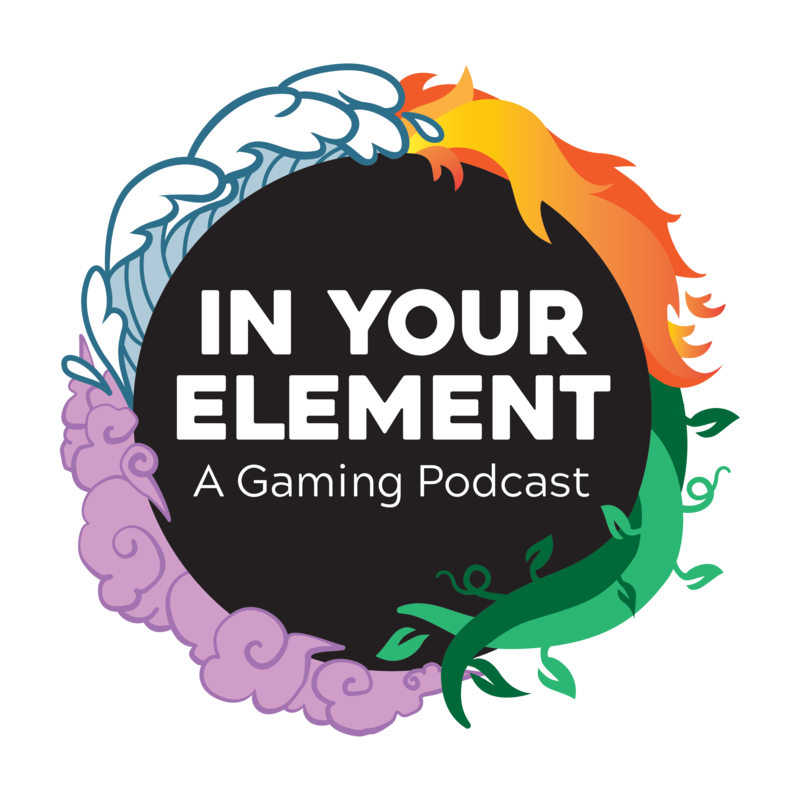 In Your Element is a weekly gaming podcast hosted by Matthew Adler (@matthewadler) focused on Nintendo Switch, PS4 and Indie games. Each episode, I’ll feature a guest to chat about relevant industry news, discuss impressions of recent titles, review new releases, or have engaging discussions around a variety of topics. Don't forget to follow In Your Element online! Welcome Back to In Your Element!Featured Topic:This week my guest Austin Elkins (@austinlavistatv) and I are previewing three upcoming Nindies (Nintendo + Indies) arriving VERY shortly on Nintendo Switch. We discuss the classic run and gun action game, Cuphead; we chat about the upcoming neo-noir action slasher, Katana ZERO; and we finish up with the card-based RPG, SteamWorld Quest: The Hand of Gilgamech. Let's chat some indie games!Time Stamps:0:00 Intro/What We've Been Playing11:57 Cuphead Preview24:44 Katana ZERO Preview32:35 SteamWorld Quest: The Hand of Gilgamech44:51 Closing/Outro MusicShow NotesSocial Media:Instagram@inyourelementpodcastTwitter@IYEpodcastFacebook Page@inyourelementpodcastDiscordJoin ServerFor the latest news and content visit:inyourelementpodcast.comSupport In Your Element at:patreon.com/inyourelementEmail any Questions/Comments for the Show at:hello@inyourelementpodcast.comIntro Music by Eric Skiff - Arpanauts - Resistor Anthems - Available at http://EricSkiff.com/musicOutro Music by Chillhop: http://chillhop.com/listen - Bonus Points - Pizza and Video Games - Listen on Spotify: http://bit.ly/ChillhopSpotifyEnjoy! 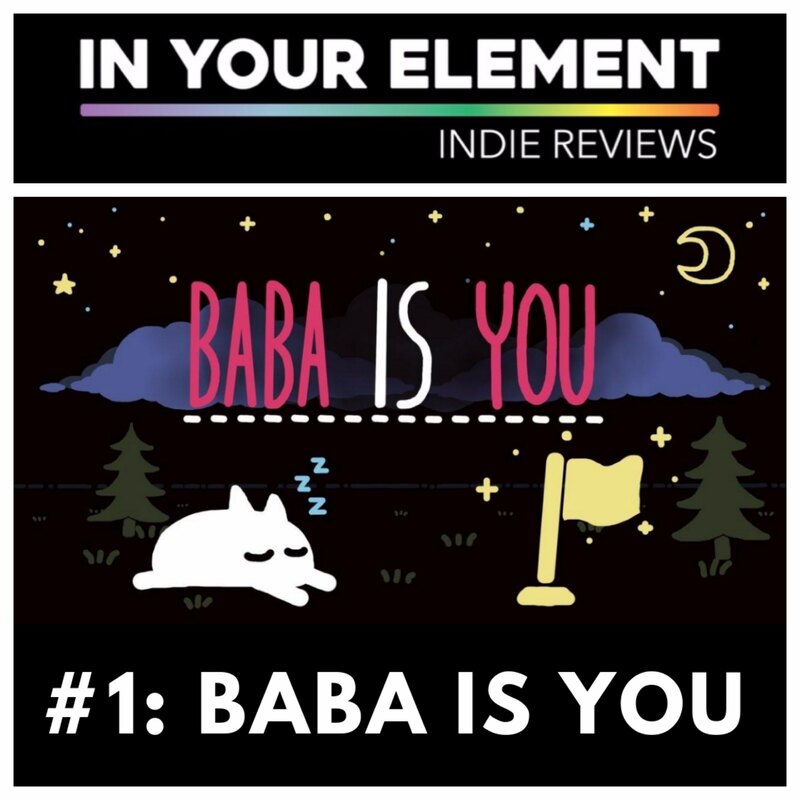 Welcome to the first-ever Indie Reviews episode of In Your Element!Featured Game: Baba Is YouThis episode, I'm reviewing the challenging puzzle game Baba Is You for Nintendo Switch. Baba Is You features over 200 individual puzzles that are solved by moving words and items around to create a solution. What makes it unique is that it encourages you to break the rules, and constantly challenges you to think outside the box.Written Review:Available on IndieRanger.comSocial Media:Instagram@inyourelementpodcastTwitter@IYEpodcastFacebook Page@inyourelementpodcastDiscordJoin ServerFor the latest news and content visit:inyourelementpodcast.comSupport In Your Element at:patreon.com/inyourelementEmail any Questions/Comments for the Show at:hello@inyourelementpodcast.comIntro Music by Eric Skiff - Arpanauts - Resistor Anthems - Available at: http://EricSkiff.com/musicBackground music by Arvi Teikari - Fruit On Grass (Garden) - Baba Is You OST - Available at: https://hempuli.bandcamp.com/releasesDisclaimer: A review copy of the game was provided to me by the publisher. This did not influence my review in any way.Enjoy! Welcome Back to In Your Element!Featured Topic:This week join my guest Adrian Espinoza (@ad2sterling) and I as we discuss the most difficult modern video games we've experienced. We also discuss the need for accessibility in video games and the case for creating an 'easy mode' that allows everyone to experience specific games.Time Stamps:0:00 Intro/What We've Been Playing19:26 Accessibility and Video Game Difficulty32:18 Our Most Difficult Modern Games Played1:27:03 Closing/Outro MusicShow NotesSocial Media:Instagram@inyourelementpodcastTwitter@IYEpodcastFacebook Page@inyourelementpodcastDiscordJoin ServerFor the latest news and content visit:inyourelementpodcast.comSupport In Your Element at:patreon.com/inyourelementEmail any Questions/Comments for the Show at:hello@inyourelementpodcast.comIntro Music by Eric Skiff - Arpanauts - Resistor Anthems - Available at http://EricSkiff.com/musicOutro Music by Chillhop: http://chillhop.com/listen - Joseph Jacobs - Tune In - Listen on Spotify: http://bit.ly/ChillhopSpotifyEnjoy! Welcome Back to In Your Element!This Week's News:Sony's first "State of Play" livestream just wrapped up, and they announced a handful of new games, including many PSVR experiences coming in the near future. Apple also held a services-focused event, announcing Apple Arcade, a subscription-based gaming service that promised premium curated content that can be played across all your devices. Lastly, SEGA is entering into the mini console market officially later this year with the SEGA Genesis Mini. All that, and more, on this week's episode!Featured Topic:Last week was jam-packed with industry news and events and this episode, my guest Matt Jeffray and I will be breaking down the biggest announcements to come out of the 2019 Game Developer's Conference in San Francisco, and PAX East in Boston. There were a number of big developer changes detailed, and a handful of really exciting games coming soon, including a big one that has been teased for awhile.Time Stamps:0:00 Intro/What We've Been Playing13:05 Sony's First State of Play Livestream Breakdown25:10 Apple Arcade Announced For iOS, macOS and tvOS31:34 SEGA Announces Genesis Mini40:36 Game Developer's Conference 2019 Recap56:50 PAX East 2019 Recap1:13:49 Closing/Outro MusicShow NotesSocial Media:Instagram@inyourelementpodcastTwitter@IYEpodcastFacebook Page@inyourelementpodcastDiscordJoin ServerFor the latest news and content visit:inyourelementpodcast.comSupport In Your Element at:patreon.com/inyourelementEmail any Questions/Comments for the Show at:hello@inyourelementpodcast.comIntro Music by Eric Skiff - Arpanauts - Resistor Anthems - Available at http://EricSkiff.com/musicOutro Music by Chillhop: http://chillhop.com/listen - Globuldub - Foreign Exchange - Listen on Spotify: http://bit.ly/ChillhopSpotifyEnjoy! 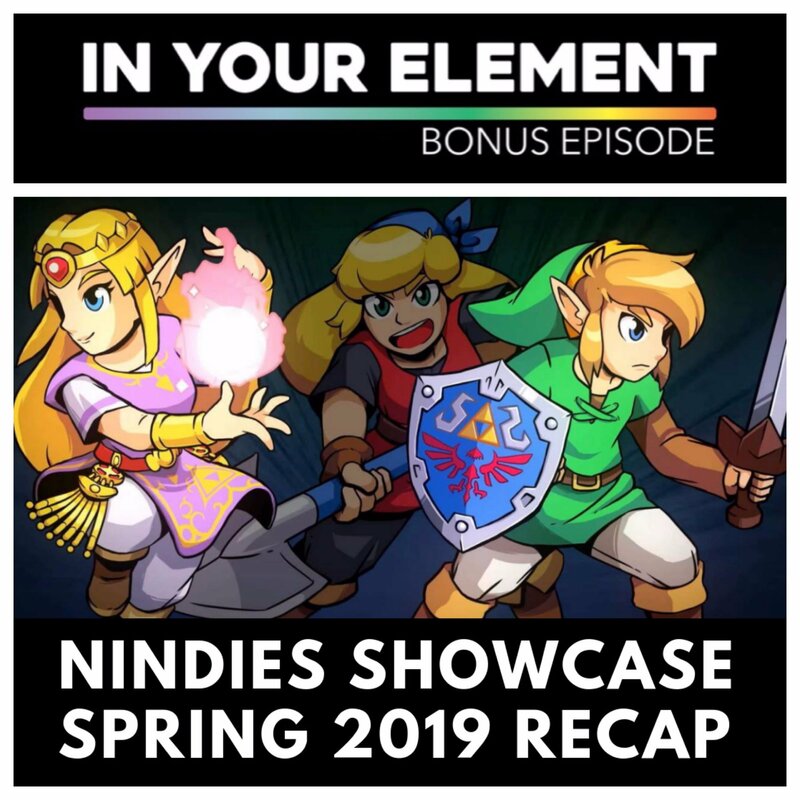 Welcome Back to another Bonus Episode of In Your Element!Featured Topic:This week I welcome back my guest Eric Manning as we break down Nintendo's recent Nindies Showcase for Spring 2019. There were 18 different games announced and shown off during the presentation, and we give our initial thoughts of each one!As a reminder, In Your Element Bonus episodes are my way of thanking my Patrons supporting me over on patreon.com/inyourelement. My goal is to create additional content and deliver it to them a week before everyone else gets it. If you’d like to receive these bonus episodes early, as well as all future main episodes, consider showing your support on my Patreon page! As a Patron, all of your episodes will also be ad-free. Other perks include access to Patreon-exclusive roles in the In Your Element Discord server as well as being eligible for periodic giveaways. If you enjoy the show, join other Elementalists in supporting at the $1 level or above on patreon.com/inyourelement.Show NotesSocial Media:Instagram@inyourelementpodcastTwitter@IYEpodcastFacebook Page@inyourelementpodcastDiscordJoin ServerFor the latest news and content visit:inyourelementpodcast.comSupport In Your Element at:patreon.com/inyourelementEmail any Questions/Comments for the Show at:hello@inyourelementpodcast.comIntro Music by Eric Skiff - Arpanauts - Resistor Anthems - Available at http://EricSkiff.com/musicEnjoy! 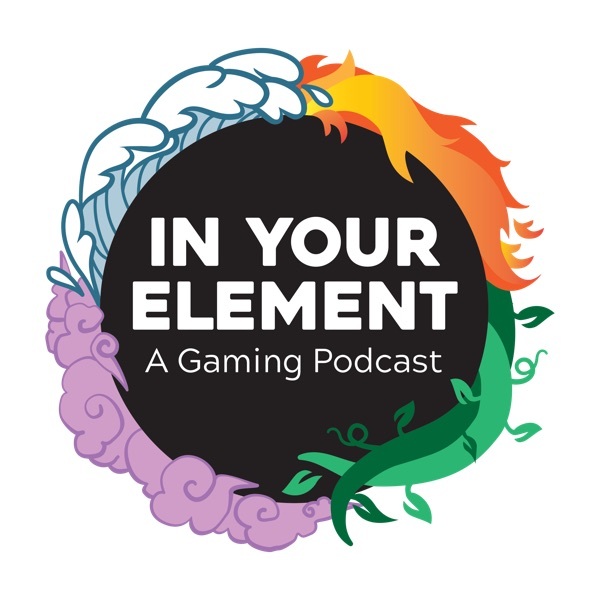 Welcome Back to In Your Element!This Week's News:Google announced their new cloud-based gaming platform to the world earlier this week, called Google Stadia. It will be able to stream AAA games to your phone, tablet, computer or television in 4K resolution at 60 fps. Also, Apex Legends began its first Season, introducing a Battle Pass with 100 tiers of unlockables and the first new Legend, Octane.Featured Topic:2019 is off to a hot start, and we're not even done with March yet! So far, we've gotten great games such as: Resident Evil 2, Apex Legends, The Divison II, Metro: Exodus, Devil May Cry 5, and most recently, Sekiro: Shadows Die Twice. We discuss our biggest surprises of the year, biggest disappointments, and what what's to come for the rest of the year!Time Stamps:0:00 Intro/What We've Been Playing13:43 Google Announces Stadia34:33 Apex Legends Season 1 - Wild Frontier Begins46:30 2019 In Gaming (So Far)1:23:59 Closing/Outro MusicShow NotesSocial Media:Instagram@inyourelementpodcastTwitter@IYEpodcastFacebook Page@inyourelementpodcastDiscordJoin ServerFor the latest news and content visit:inyourelementpodcast.comSupport In Your Element at:patreon.com/inyourelementEmail any Questions/Comments for the Show at:hello@inyourelementpodcast.comIntro Music by Eric Skiff - Arpanauts - Resistor Anthems - Available at http://EricSkiff.com/musicOutro Music by Chillhop: http://chillhop.com/listen - Brock Berrigan - Split Decision - Listen on Spotify: http://bit.ly/ChillhopSpotifyEnjoy! Welcome Back to In Your Element!This Week's News:An outlandish rumor surfaced claiming that Sony may be in talks to acquire Take Two Interactive, who own Rockstar (Grand Theft Auto, Red Dead Redemption), and 2K Games (BioShock series, Borderlands series, 2K Sports games, Mafia and more). This would be an insane pickup if true. Also, Dark Souls creator has stated that they are interested in exploring a potential Battle Royale or multiplayer experience title in the future. What could this mean? All that, and more, on this week's episode!Featured Topic:This week, join my guest Adrian and I as we journey back to Racoon City and relive the worst first day on the job ever in the remake of Resident Evil 2. We discuss our thoughts on gameplay and story (without spoilers!) as well as some other aspects. We also discuss whether Capcom should stick with a third-person over-the-shoulder view for upcoming titles, or continue with the first-person view introduced in Resident Evil 7, as well as what the future holds for the franchise.Time Stamps:0:00 Intro/What We've Been Playing9:32 Sony Set To Acquire Take Two Interactive? !14:58 Dark Souls Creator Interested In Battle Royale Game20:48 Resident Evil 2 Review55:22 Closing/OutroShow NotesSocial Media:Instagram@inyourelementpodcastTwitter@IYEpodcastFacebook Page@inyourelementpodcastDiscordJoin ServerFor the latest news and content visit:inyourelementpodcast.comSupport In Your Element at:patreon.com/inyourelementEmail any Questions/Comments for the Show at:hello@inyourelementpodcast.comIntro Music by Eric Skiff - Arpanauts - Resistor Anthems - Available at http://EricSkiff.com/musicOutro Music by Chillhop: http://chillhop.com/listen - GYVUS - Tōzen - Listen on Spotify: http://bit.ly/ChillhopSpotifyEnjoy! Welcome Back to In Your Element!This Week's News:Nintendo is getting into the VR game...sort of. They announced Nintendo Labo VR Kit this week, which includes a cardboard VR headset as well as five additional VR experiences. Sony dropped a new software update for the PS4, bringing with it Remote Play capability for iOS devices! Lastly, EA announced they will be opting out of a traditional press conference at this year's EA Play event, which traditionally kicks off the E3 festivities. 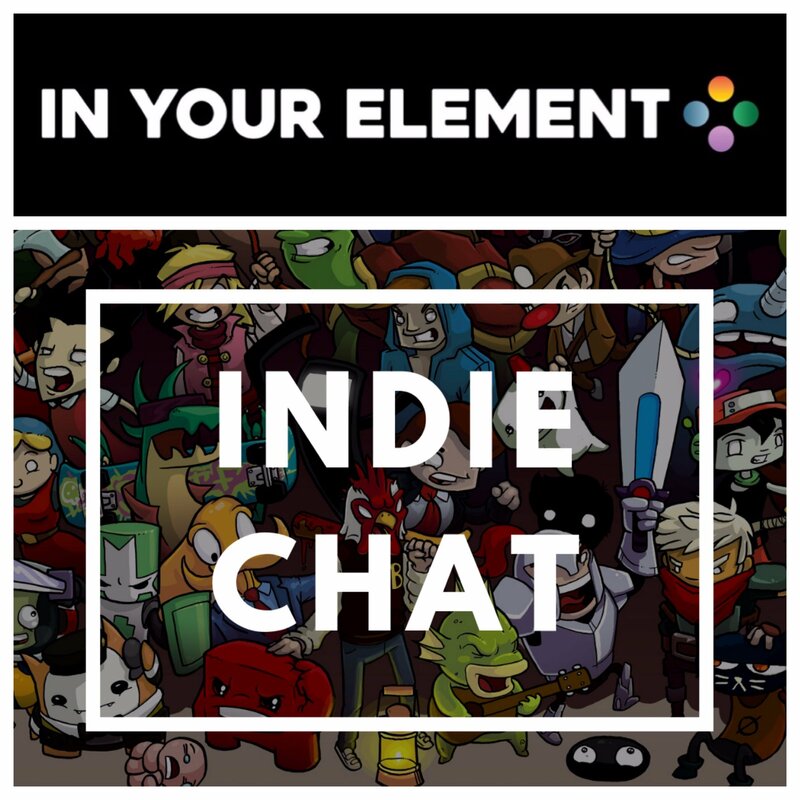 All that, and more, on this week's episode of In Your Element!Featured Topic:Join my guest Travis LeFevre, Editor-in-Chief of Indie Ranger, as we dive into some of the recent indie games we've been playing. We chat about the frenzied, jazz-fueled rage of Ape Out, the customizable tactics-based game Wargroove, the infinitely-moddable battlefield game Ravenfield, the surrealist point-and-click adventure Lucid Dream and the over-the-top roguelike motorcycle game, Road Redemption.Click Here if you are interested in reading my full review for Ape Out, available on IndieRanger.comClick Here if you are interested in reading my full review for Lucid Dream, available on IndieRanger.comTime Stamps:0:00 Intro/What We've Been Playing13:51 Nintendo Announces Labo VR Kit19:16 Sony Enables Remote Play For iOS24:02 EA Cancels E3 Press Conference28:20 Indie Chat - Ape Out36:47 Indie Chat - Ravenfield41:18 Indie Chat - Wargroove47:17 Indie Chat - Road Redemption51:22 Indie Chat - Lucid Dream58:33 Closing/Outro MusicShow NotesSocial Media:Instagram@inyourelementpodcastTwitter@IYEpodcastFacebook Page@inyourelementpodcastDiscordJoin ServerFor the latest news and content visit:inyourelementpodcast.comSupport In Your Element at:patreon.com/inyourelementEmail any Questions/Comments for the Show at:hello@inyourelementpodcast.comIntro Music by Eric Skiff - Arpanauts - Resistor Anthems - Available at http://EricSkiff.com/musicOutro Music by Chillhop: http://chillhop.com/listen - Bonus Points - Pizza and Video Games - Listen on Spotify: http://bit.ly/ChillhopSpotifyEnjoy! Episode 28: Indie Chat: Ape Out, Wargroove & More! Welcome Back to In Your Element!This Week's News:Reggie Fils-Aime, President of Nintendo of America, announced he will be retiring in April. Capcom announced a handful of Resident Evil titles will be making their way to Nintendo Switch in May. Nintendo announced there will be a Pokémon Direct happening February 27th. Is this going to be our first look at Gen 8 on Nintendo Switch?Featured Topic:With games like Fallout 76, Crackdown 3, and most recently, Anthem, it begs the question: "is there a place for bad games?" Join my guest Jay Casale, host of The Lighter Side Podcast, as we chat about the success of "bad" games in an era of gaming that seems to be pushing the medium so far forward. We also speak about what it's like playing video games as an adult, and the types of experiences we tend to gravitate towards nowadays.Time Stamps:0:00 Intro/What We've Been Playing4:57 Reggie Fils-Aime Is Retiring From Nintendo8:30 Resident Evil Games Coming To Nintendo Switch12:00 Pokémon Direct Announcement17:14 Is There A Place For "Bad" Games?1:30:30 Closing/Outro MusicShow NotesSocial Media:Instagram@inyourelementpodcastTwitter@IYEpodcastFacebook Page@inyourelementpodcastDiscordJoin ServerFor the latest news and content visit:inyourelementpodcast.comSupport In Your Element at:patreon.com/inyourelementEmail any Questions/Comments for the Show at:hello@inyourelementpodcast.comIntro Music by Eric Skiff - Arpanauts - Resistor Anthems - Available at http://EricSkiff.com/musicOutro Music by Chillhop: http://chillhop.com/listen - Joseph Jacobs - Tune In - Listen on Spotify: http://bit.ly/ChillhopSpotifyEnjoy! Episode 27: Is There A Place For "Bad" Games? Welcome Back to In Your Element!This Week's News:Nintendo finally graced us with the first proper Nintendo Direct of 2019 last week, and we recap all the big titles from Super Mario Maker 2, Marvel Ultimate Alliance 3: The Black Order, Fire Emblem: Three Houses to The Legend of Zelda: Link's Awakening remake and everything in between!Featured Topic:It's been 13 years since the last mainline entry in the Kingdom Hearts franchise, and we've finally gotten our hands on Kingdom Hearts III. This week, join my returning guest, Josiah Mills, as he and I discuss our SPOILER-FREE thoughts of the gameplay, visuals, music, story and more! May your heart be your guiding key.Time Stamps:0:00 Intro/What We've Been Playing5:41 Nintendo Direct 2.13 Recap45:04 Kingdom Hearts III Review1:47:32 Closing/Outro MusicShow NotesSocial Media:Instagram@inyourelementpodcastTwitter@IYEpodcastFacebook Page@inyourelementpodcastDiscordJoin ServerFor the latest news and content visit:inyourelementpodcast.comSupport In Your Element at:patreon.com/inyourelementEmail any Questions/Comments for the Show at:hello@inyourelementpodcast.comIntro Music by Eric Skiff - Arpanauts - Resistor Anthems - Available at http://EricSkiff.com/musicOutro Music by Chillhop: http://chillhop.com/listen - GYVUS - Tōzen - Listen on Spotify: http://bit.ly/ChillhopSpotifyEnjoy!